Stowga was contacted late on Tuesday night by a property consultant with an urgent enquiry on behalf of one of their clients. The question asked was whether Stowga could find a number of warehouses up and down the country 'at short notice'. Our small startup has just had its ultimate test case. Stowga is an online warehouse marketplace allowing customers to access on-demand warehousing and logistics services which can be scaled up and down dynamically. By making warehousing a service, Stowga removes the static, long-term nature of real estate and in doing so allows its customers to build entirely fluid supply chains. KFC uploaded its logistics requirements into Stowga's platform which immediately located hundreds of potential sites across the UK and notified the managers of those warehouses. 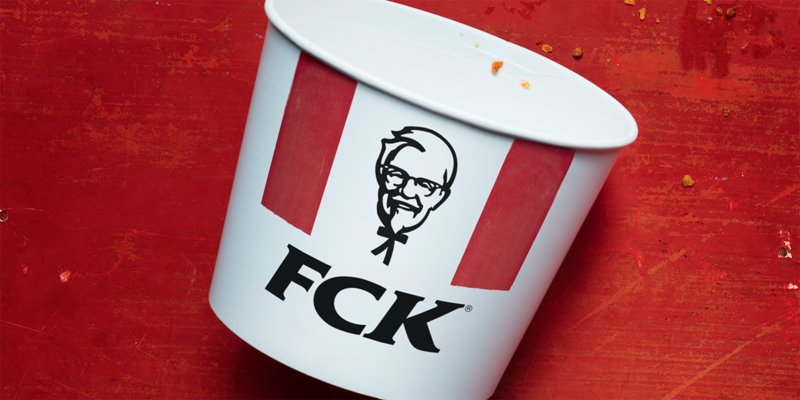 Within minutes bids came in for the business and within hours KFC had viable options for a freshly designed temporary network. The interesting thing is what will be learnt from the fiasco. Experts have debated the causes for how this could happen, and likely it will be down to a series of unfortunate events, but the general consensus is that the reliance by DHL, KFC's logistics partner, on one single warehouse for nationwide distribution and a lack of contingency planning is to blame. Both of these things could have been prevented by using the on-demand warehouse model. Distributed warehousing is fast becoming an essential part of retailers supply chain strategy. The driver? Amazon. The incredible logistics network Amazon has developed to enable next day or even same day delivery has put enormous pressure on other retailers to compete. When it comes to warehouses, the customers aren't going to change, the geography isn't going to change, traffic on the roads is not likely to get better - even with autonomous vehicles. Because Stowga's technology allows instant search and streamlined payments but without forcing customers in to long term leases, it gives game-changing flexibility to create new supply chains in very short time frames. This means companies can react very quickly to events such as a fashion trend or a stock market crash - or in KFC's case, a motorway crash near its logistics partner's only dedicated depot. Mode 1: Designed for stability and operational efficiency. Mode 2: Designed for agility, innovation and flexibility. Almost every element of the supply chain is short-term and flexible, like planes, trains and automobiles. Traditional warehousing is not but the on-demand model is - which enables warehousing to be part of the bimodal strategy. It allows businesses to switch it on and off at short notice and business will continue as usual. supply chain designed purely to be rigid does not allow for any flexibility should disaster strike. As boardrooms across the country ask themselves what they can learn from KFC what you know for sure is that warehousing as a service has come at the perfect time.